There are various reasons why people would give up their dreams. Perhaps it’s for sustaining a livelihood, or when they need to support their families. However, sometimes, people choose to give up their own ambitions to continue a family legacy. 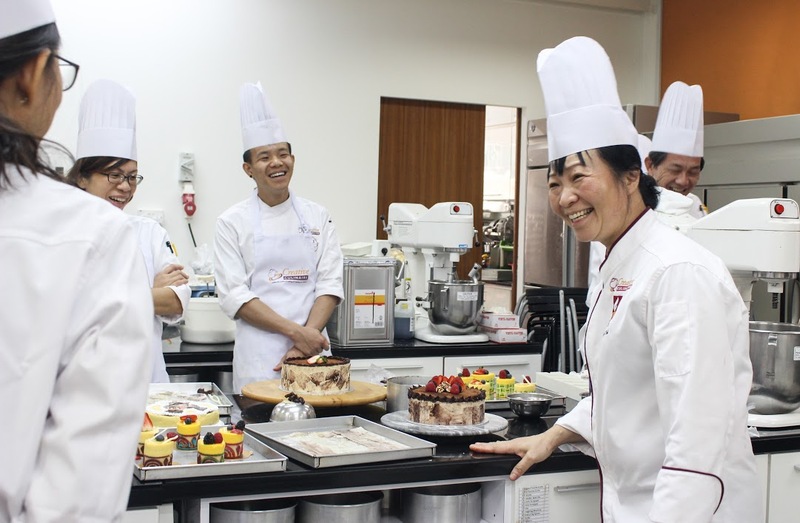 For this pair of brothers-in-law, they put their talents and knowledge to good use by helping their mother, renowned pastry chef Judy Koh, to continue her legacy. 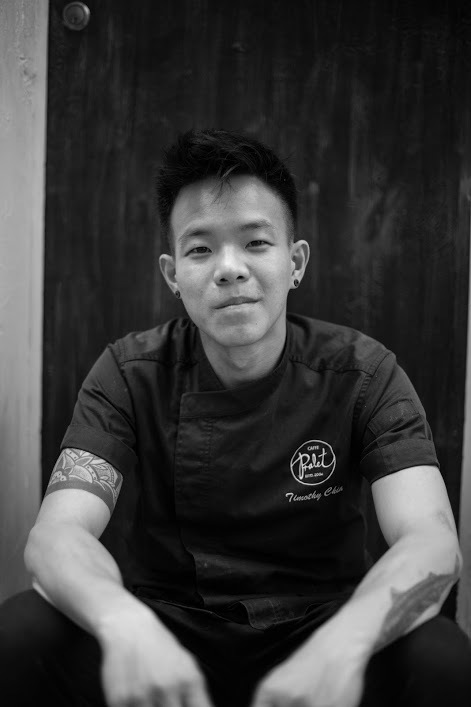 Timothy Chia (25), head chef of the Caffe Pralet and the son of Mdm Judy Koh, spent much of his adolescence in the baking school his mother created, Creative Culinaire. He started helping out with the baking school when he was 14. After school, he’d go to Creative Culinaire and bake the cafe’s signature chocolate cake, Pralet. Naturally, he went on to pursue a Diploma in Baking and Culinary Science from Temasek Polytechnic. National Service (NS) didn’t stop him from helping his mother out either. 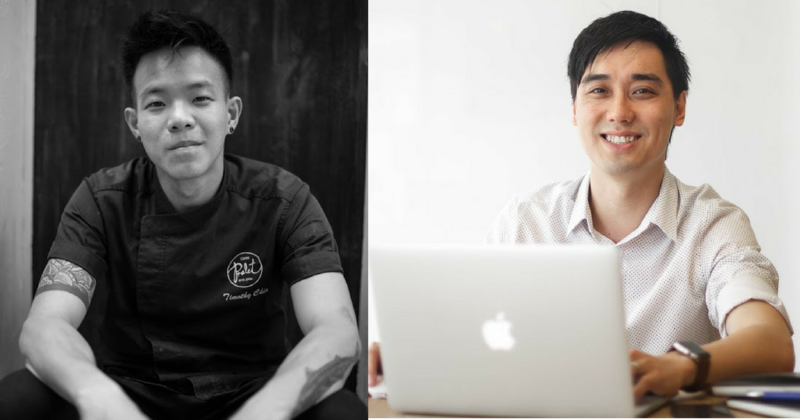 Right after his NS, he decided to not further his studies and joined the business full-time. 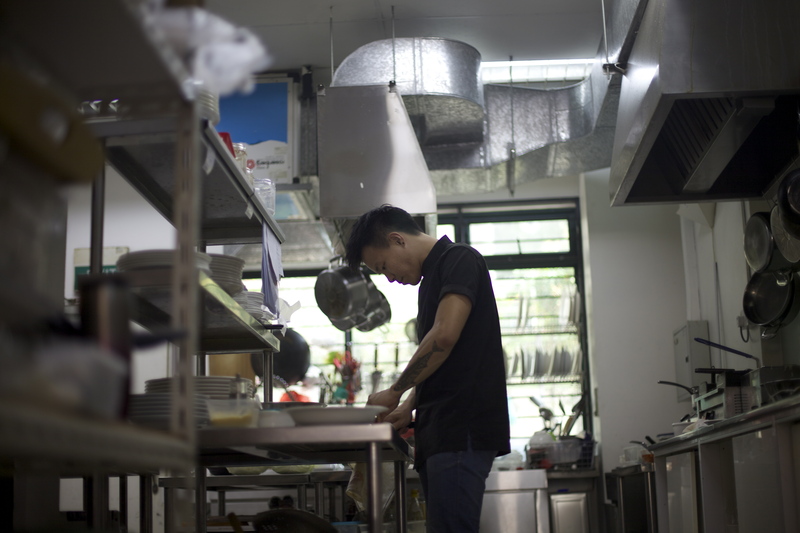 He had been approached by several distinguished chefs from well-known restaurants and hotels to work under them after graduating from school – but he said he couldn’t just give up the family’s business. One of Timothy’s dreams was to work and train overseas in different restaurants over the world. 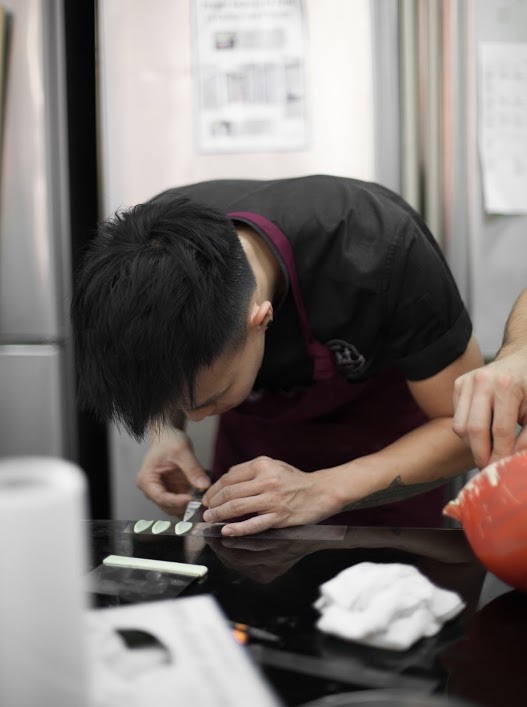 His brother-in-law, Jeremy Ang (29), had started out with the baking school as a part-timer several years ago. 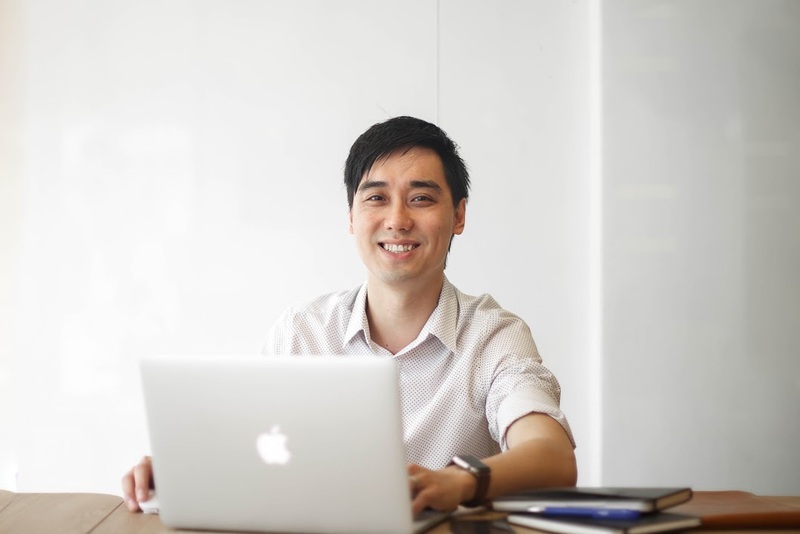 He left Singapore to pursue his Masters in clinical psychology in Australia, and was doing his post-graduate studies while working there as a clinical psychologist at a private practice and a university sessional staff. 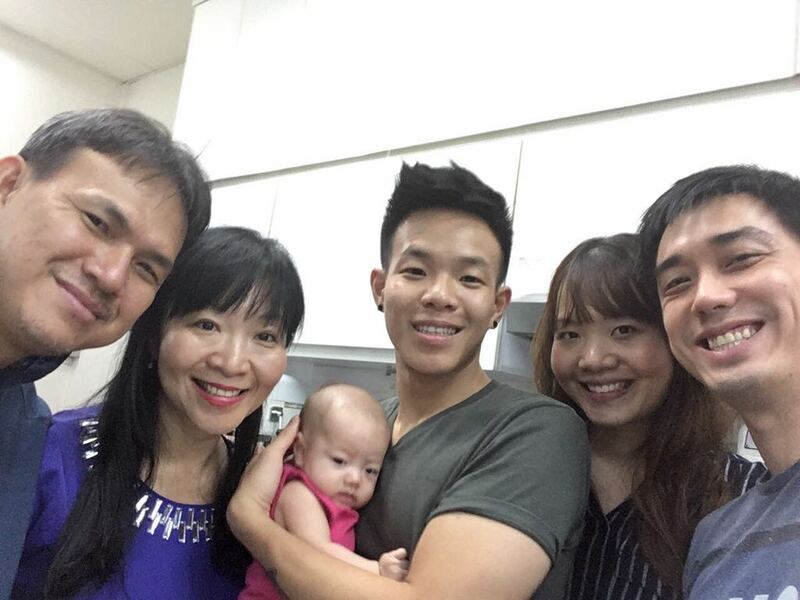 But he returned to Singapore with his wife to support his mother-in-law’s business with Timothy. Currently, he handles the school’s business side of things and develops the courses at Creative Culinaire. 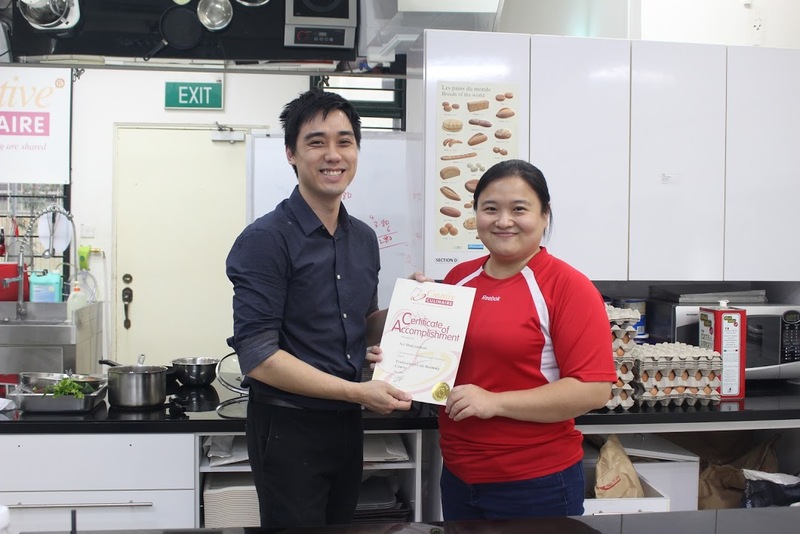 His goal was to make a difference in people’s life with psychology, so in a way, this has just taken a different form where he hopes to explore the psychological and therapeutic benefits of baking and cooking. It can be difficult to separate feelings from work and family, especially when you’re working with family members in a family business. But both Timothy and Jeremy are professionals in their field of work. I asked the brothers-in-law what it’s like to work with the illustrious matriarch. She was described as a “no-nonsense” and “direct” superior at work who “is not afraid to speak her mind” by Jeremy, but she was also depicted as a visionary businesswoman who always puts the interests of the people first before herself. Her passion for her work and people, and her drive are admirable. Timothy recalled the time he received an order during Christmas for 600 gingerbread cookies. But an accident happened and the cookies were damaged. “We had to individually patch each cookie, piece by piece through the night, for three nights straight,” he told me. The mother and son have also worked together on creating the Tallest Chocolate Sculpture for the World Guinness Book of Records, which Timothy said left a deep impression on him as he had to use a forklift to build the sculpture. Undoubtedly, there are younger people taking over their parents’ business, and businesses that have been passed down to the third generation even. But it is still a rather rare occurrence. “The greatest hurdle for taking over family businesses is (the strength of the) relationships. The strong [bonds] between family members can [become] a barrier and lead to a lot of resistance when it comes to the business,” Jeremy noted. It is especially touchy when it comes to the finances of the business. A small misunderstanding can lead to a complete falling out, and that’s when the business may meet difficulties if the problem isn’t handled properly. The key is always open communication, and avoiding making assumptions. Taking the time to understand what was done is done in the company and the family’s best interests. Ultimately, for Timothy, taking over the business was a personal choice to make sure that his mother’s hard work continues to live on. “I had already envisioned revolutionising the company, and to take it to further heights,” the ambitious chef stated. When it comes to being the head chef of Caffe Pralet, Timothy is creative and focused. Customers rave about the Hajeongkai Burger, Hei-bi Pasta (shrimp paste pasta), the Pralet cake, of course, and his recent fusion dishes like the Satay Chicken Pralet Bowl. His creations come from the many years of experience of being in the kitchen and flavours he loves. While Timothy is more creative at work, Jeremy is more structured regarding the business. For a “methodological and organised individual” like Jeremy who has had experience developing undergraduate syllabuses before, coming up with the syllabus for the courses held at the school was “second nature” to him. He identifies topics and courses that would appeal to the public by working closely with the in-house marketing team to do market research. And the best way to really know what works for students is to be on the ground yourself. Jeremy, himself, enjoys baking as well, which explains why the classes that he hosts himself are also popular, or even as popular as his mother-in-law’s! However, they have also met with setbacks of their own. The F&B industry is indeed a tough one, and manpower is usually one of the biggest challenges business owners have to overcome. Sometimes, Timothy doesn’t get a single rest day for a few months straight. “I remember one time, our cafe manager bailed on us right before dinner service. We had no service staff and no kitchen crew that day. I had to be the chef, the server, the cashier…everything. I was the only person working that day,” he recounted. For Jeremy, who had no experience in the F&B industry at all, it was a different kind of challenge. “After all, what’s a family business without family,” he added. He agreed with Timothy on the manpower problem – managing them is another issue. On top of that, they also have to work with their suppliers and face customers. When they meet with problems that are “unethetical”, Jeremy told me that they “have always stood their grounds” and have never compromised “their values”. His experience and training in psychology has also helped greatly, maintaining tact when dealing with staff and suppliers. Jeremy made sure this approach and their principles in business stand out and are carried out. I asked them what’s the most important thing they look out for when it comes to their job. So this is why his dishes are so delicious. He seeks perfection in what he does. As Jeremy meets different people at his job, he said he looks out for business partners who are genuine, open, and purposeful. “I tend to read into people’s demeanour and observe their behaviour – an advantage of being a psychologist,” he told me, although he admitted that sometimes, he over-reads people. He makes sure the decisions he makes are “in line to the company’s vision and purpose”. Since Timothy revamped the cafe’s concept, they have tripled their lunch sales. Caffe Pralet now serves healthy, wholesome rice bowls in the day and their fusion dishes and pizzas at dinnertime. Jeremy reported that 90 per cent of their classes are running at full capacity almost everyday. 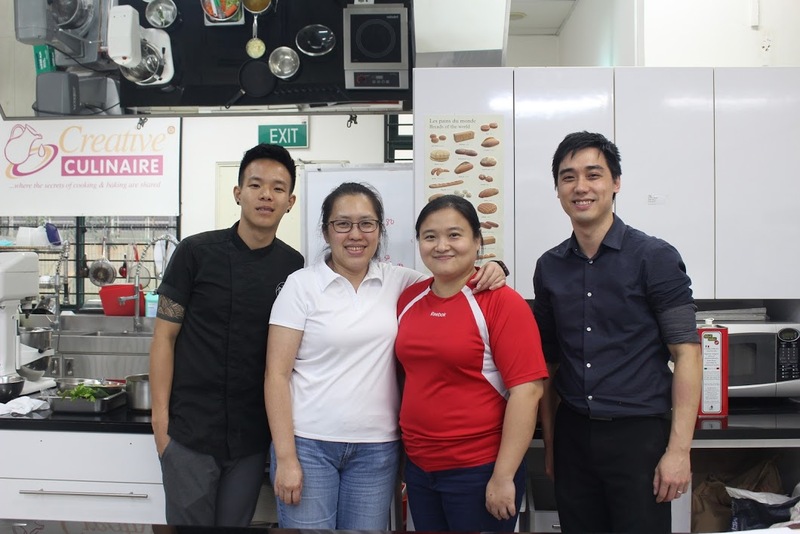 After introducing a new concept to the cafe, Timothy said they are looking at starting a wholesale and supply arm, providing frozen desserts, breads, and cakes to other F&B businesses. He is also looking to serve the rice bowls to offices and businesses. Looking for a place for your Team Building Events? We conduct a range of team building events with our attractive packages! Drop us an email for more information today. As for the school, Jeremy wants the business to go online by selling their ingredients there and introducing e-learning courses. He is also developing new course material for students. Jeremy revealed that they are looking for a suitable space to accommodate more students. There are also plans to open more franchised schools in Indonesia, Vietnam, Philippines, and Myanmar. Currently, they have franchisees in Bali and Jakarta. 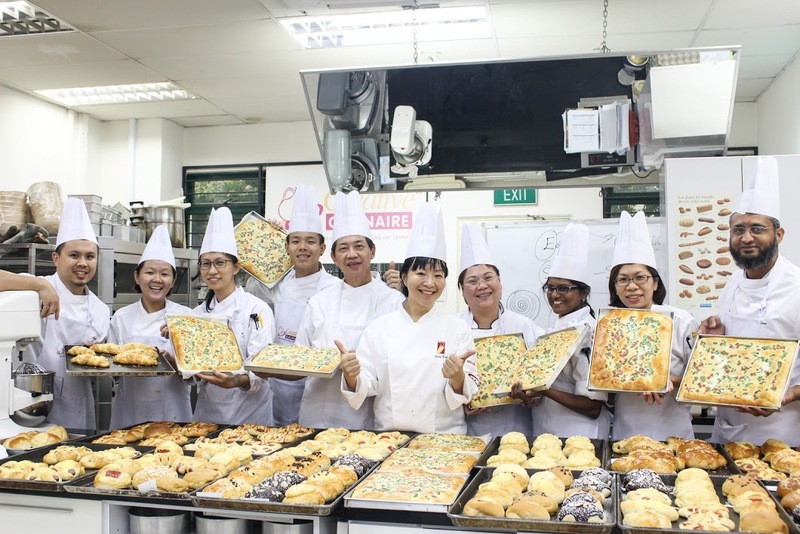 Creative Culinaire also has 13 SkillsFuture-approved courses, so you can sign up for their highly sought-after 14-day Professional Bakery Course and choose from an array of one-day classes. Check out their full suite of courses on their website here. Follow Creative Culinaire here and Caffe Pralet here.